A 30 days notice is an important document in the realms of business and civil law. Notices are given beforehand when a particular action or a certain occasion takes place after the elopement of thirty days from the date of the notice’s issue. 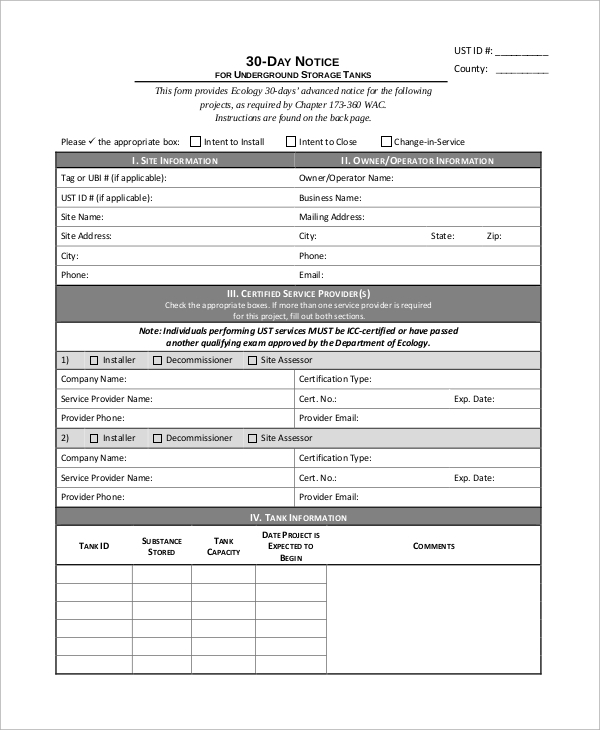 30 days notices are the formal and official way of saying, “I will do this after a few days.” Given below are a list of Sample Notice Letter templates which will give you an idea about the various types of 30-day notices. A 30 days’ notice from the landlord is a type of notification whereby the landlord asks their tenant to vacate the premises within a period of thirty days from the date the notice has been issued. Such notice may also include other terms, conditions, and provisions with regards to the right and duties of the landlord and tenants, respectively. 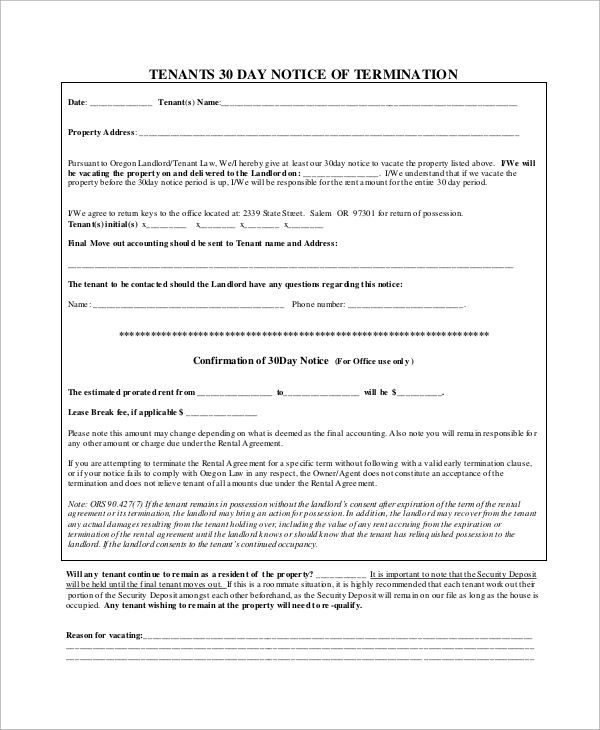 A 30 days’ notice to vacate is a letter of notice which is issued by the tenant or resident to their landlord or housing society, indicating their wish to vacate the premises within a period of thirty days. Such a notice is given concerning the contractual agreement with the landlord or housing society with the tenant, specifying the rights and obligations of each party to the contract. A 30 days’ notice to tenants is a type of letter of notice which is presented by the landlord or the housing society, asking them to vacate the premises within a period of thirty days. 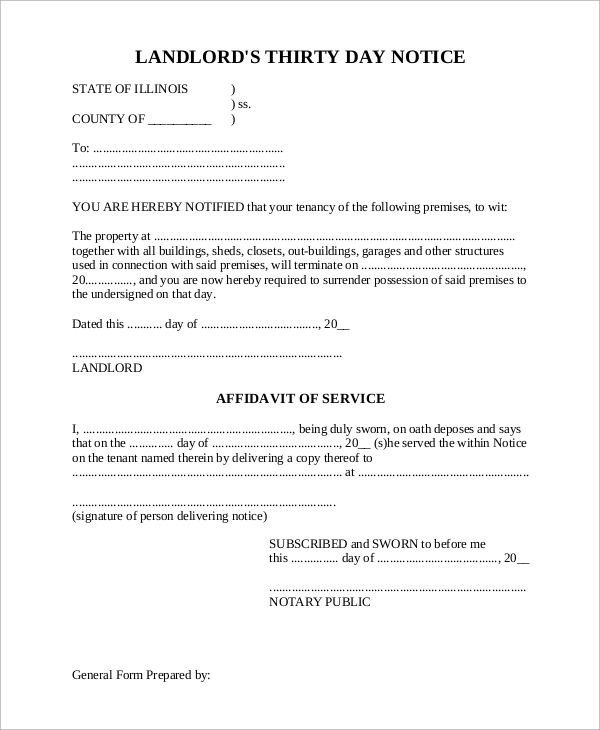 Usually, such a letter of notice is issued in a situation when the vacation of the premises is a result of a premeditated and consensual agreement between the tenant and the landowner. 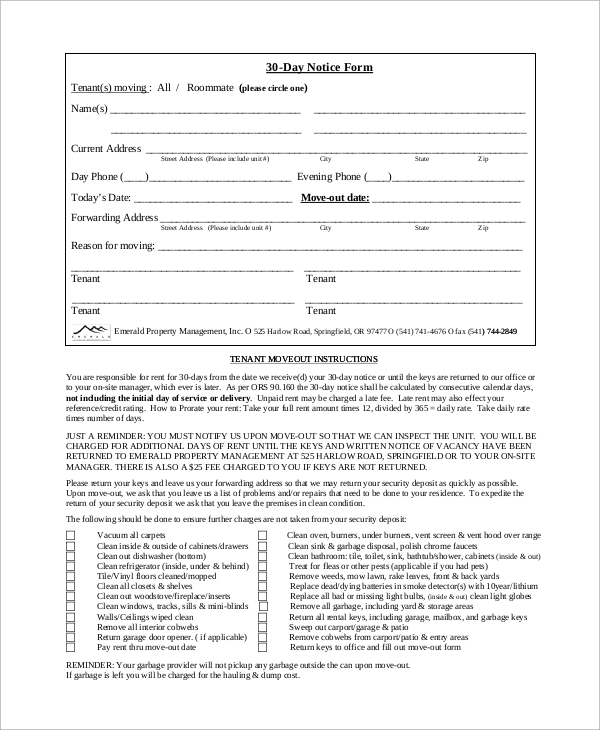 A 30-day notice letter is a document which serves notice to the concerned person or persons about a premeditated action that will take place within a period of thirty days. 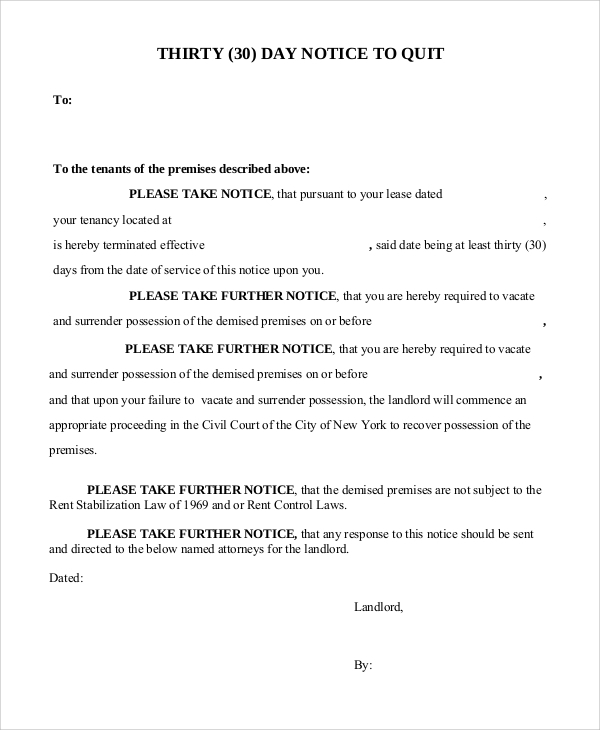 Such letters of notice are usually used in the realm of tenancy, where the vacation or the acquisition of the landlord’s premises by the tenants is concerned. However, letters of notice can also be used for beginning and terminating employment, service and other kinds of activities which are related to a written contract. A 30 days’ notice to quit is a letter of notice which seeks the termination of tenancy by the landlord. This termination takes place due to the breach of the contract agreement by the tenant, and the landlord is in full liberty and discretion to decide whether or not to end the tenancy. Notice to quit involves not only the vacation but also the surrender of the premises with no compensation to the tenant. Letters of Notice are useful to give effect to the contractual relationship between the contracting parties. Such documents help the parties to resolve disputes by stating each other’s intentions clearly. Letters of notice are also useful as a document of proof in a court of law where either party may present it as evidence against unethical behavior and conduct. Letters of notice are useful for both landlords and tenants as it is the only way in which either party can communicate in an official medium. Good letters of notice can help to resolve disputes and conflicts and convey the message of either party clearly. Letters of notice can also be used by a myriad of organizations who work in a contract based agreement. 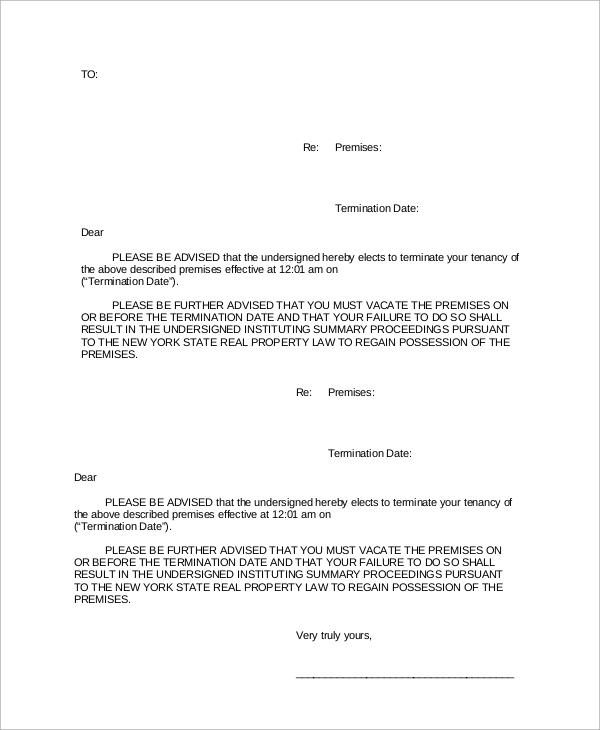 Being an important document, it is important to understand the types of letters of Separation Notice Template that are appropriate for each situation. 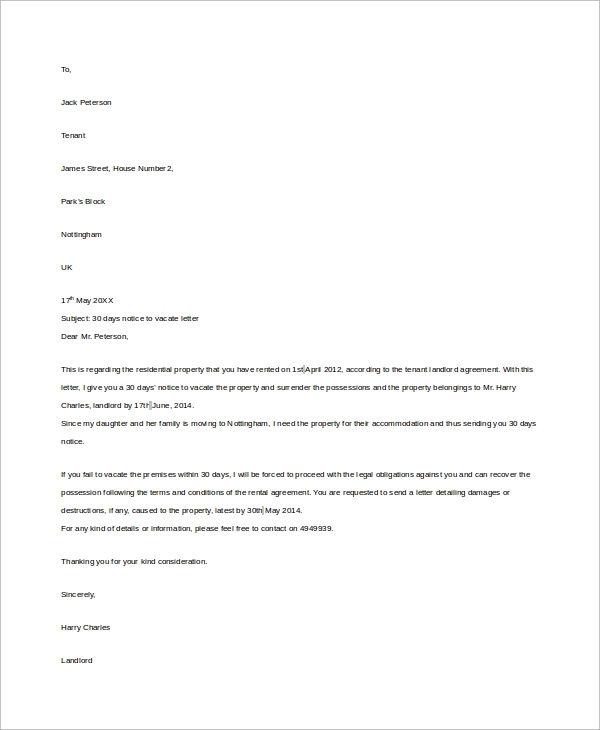 We have a host of sample letter templates to help you get started and to inspire you to compose your letter of notice.